Can I connect multiple Shopify or Amazon stores? Yes, you can connect more than one Shopify store or Amazon stores for multiple regions (US/Canada/Mexico, pan-EU, etc). > Connections > Connect Another Platform. 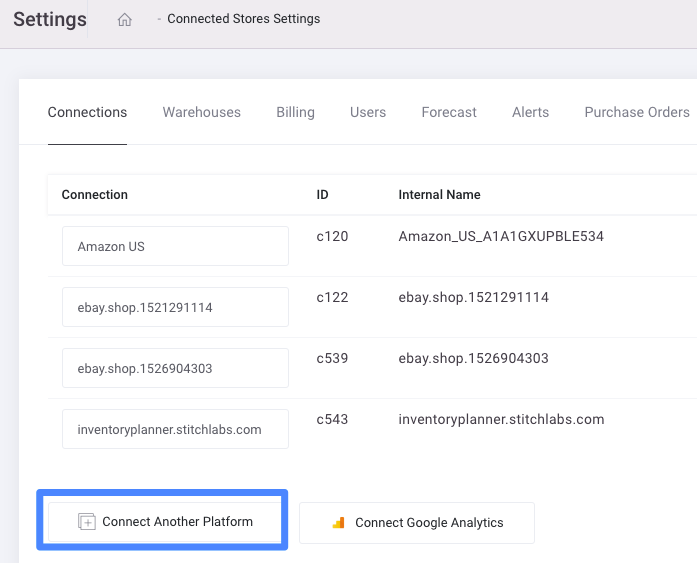 For more help with store set-up and warehouse configuration, check out our article with more detail to connect your store.